With a cross-section of just 1.25", Zynn Lines suspends slim lines of light in contemporary spaces. Its seamless housing, energized cables, and refined finish differentiate this minimalist luminaire from the pack. A fundamental design tool for today's architects and designers, Zynn Lines' small scale is easy to design with to create unique lighting configurations: hang as a single pendant, align in rows, create patterns, or arrange in a cluster to make a modern statement. 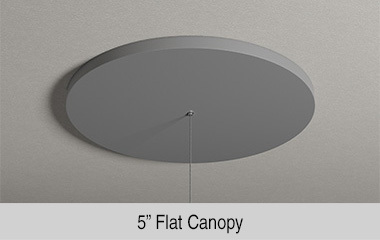 The four-foot pendant has mounting points located just off the ends of the fixture, while the eight-foot pendant has mounting points located on four-foot centers. This maximizes the stability of the fixture either as a standalone piece or linear run. Choose from two discreet canopy options.